Made from heavy strips of yearn or fabric that has been braided into thick ropes and are then sewn side to side in spirals, ovals, rounds and oblongs. A shaggy looking rug that is very inviting and cozy on your feet. 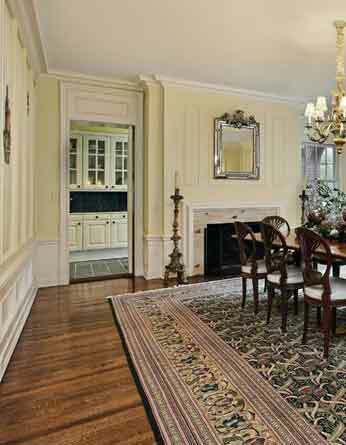 Contemporary rug styles with long pile and natural colors. Often referred to as sheep skin rugs, this textile is made of 100% hand-woven New Zealand wool originated in Greece 1500 years ago. Sisal rug fibers come from the leaves of the Agave Sisalana plant that is grown as a renewable resource. 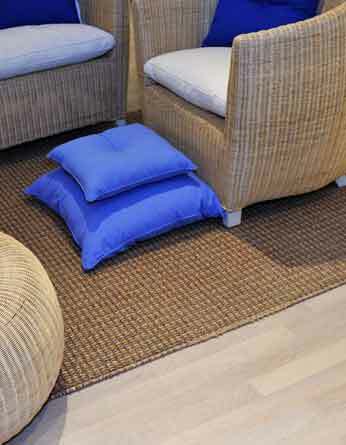 Sisal rugs are durable, provide sound absorption, anti-static, naturally insulating and fire resistant. Moisture absorbent and therefore not recommended for use outdoors or in areas water inside the home such as a bathroom. Jute fibers are striped from their stalks and can be spun into yarn or rope and woven. A product of the paddy fields of China and India; this is a popular choice among designers for its natural beauty and strength. Durable, stain resistant and available in warm beige tones with undertones of green. Various patterns are available such as Herringbone and Basketweave, making them a perfect accent to any room. Bamboo is one of the fastest growing plants on the planet. Plentiful in supply, they make strong and beautiful area rugs. Bamboo rugs are woven from natural bamboo fibers and feature natural variations in color and offer texture and style to any room décor.